An undertaker from Brighton has been banned from the road after being caught driving having drunk more than twice the legally permitted level of alcohol. Frankie Parker, 41, also known as Frances Parker, of Lockwood Crescent, Woodingdean, was arrested in Stanstead Crescent, Woodingdean, on Monday 10 December. She was charged with driving a silver Kia Rio with 83 micrograms of alcohol in 100 millilitres of breath. The legal limit is 35 micrograms. She pleaded guilty to drink driving at Brighton Magistrates’ Court where, last Monday (8 April), she was banned from driving for 20 months. She was also ordered to pay a £120 fine, £150 costs and a £30 victim surcharge, making £300 in total. An unemployed man from Portslade has been banned from driving for a year after being caught at the wheel with cannabis in his system. 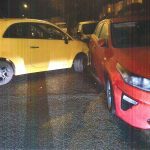 James Scott, 27, of Abinger Road, Portslade, was arrested in Marine Parade, Brighton, on Tuesday 4 December in a blue BMW 330. He was charged with driving with seven micrograms of delta-9-tetrahydrocannabinol in a litre of blood. The legal limit is two micrograms. He admitted the offence at Brighton Magistrates’ Court on Thursday 28 March. As well as a year-long driving ban, Scott was also ordered to pay a £120 fine, £85 costs and a £30 victim surcharge, making £235 in total. 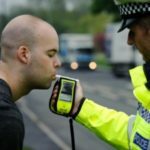 Both drivers were caught by Sussex Police during the annual Christmas and new year crackdown on drink and drug driving last December. The force said that almost 100 people arrested during the month-long crackdown had now been convicted in court. A total of 240 motorists were arrested in Sussex during the campaign and, of those, 95 have since been convicted in court while a further nine have been charged. The remaining 131 have either been released under investigation or released without charge.